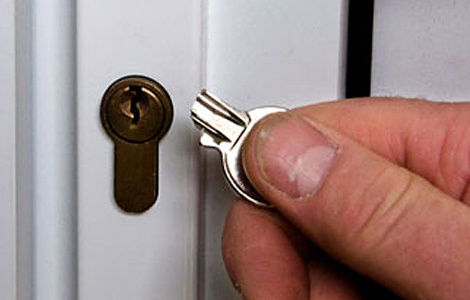 Home > Security > Advice > How Vulnerable are Euro Cylinder Locks? The popularity and history of the Euro Cylinder lock has been discussed in previous articles. In this article we look at the issues with the security of these locks. Euro Cylinder locks can be vulnerable. Susceptibility to lock picking and lock snapping are the main vulnerabilities of the Euro Cylinder lock. So, how vulnerable are Euro Cylinder locks? The basic Euro Cylinder lock is vulnerable to lock picking attacks. These type of attacks include lock bumping, which involves opening the lock by using a specially crafted bump key. Another technique for forcing open a Euro Cylinder lock without using a key is to use a snap gun. This is a tool that that can pick the lock without the need for a key. There are measures in place to combat this. There are higher security Euro Cylinder locks that have been adapted to use specialised security pins. The way these pins work is to catch in the lock cylinder if a snap gun or bump key are used. However, the majority of Euro Cylinder locks don’t have specialised security pins. Lock snapping involves applying a strong torque force to the lock cylinder, usually with a pair of locking pliers, this breaks the mechanism and allows access to the latch. Police in the UK have estimated that around 22 million doors throughout the country could be at risk from lock snapping. It can take between 50 seconds and 2 minutes to snap the lock and gain entry. It’s possible to snap the lock when the lock has a weakness where the retaining bolt passes through a thinner part of the lock. There are measures that have been put in place to combat the vulnerabilities of the Euro Cylinder Lock. New safety measures have been put in force and any British Standard cylinders that meet the TS007 3 standard can help prevent this method of attack. They have been shown to reduce burglaries in implemented areas by up to 60%. To find out how vulnerable Euro Cylinder locks are, call Stephen direct on 0114 345 0145 if you are in the Sheffield area.